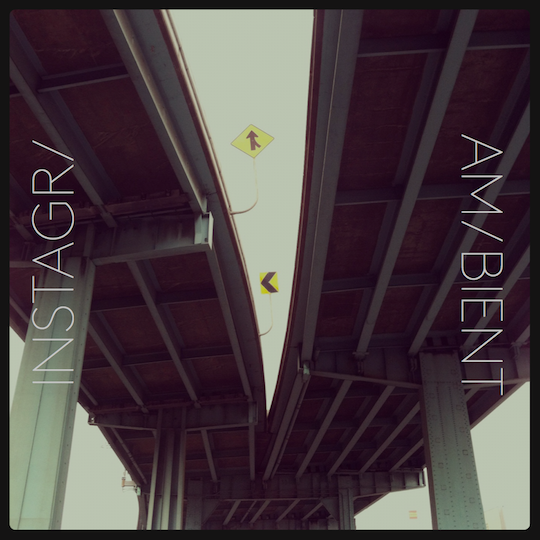 25 ambient musicians created original sonic postcards in response to one another’s evocative Instagram photos. The result of the 25 musicians’ collective efforts is an investigation into the intersection of technology, aesthetics, and artistic process. What parallels exist, for example, between the visual filters that Instagram provides users to transform their photos and the sound-processing tools employed by electronic musicians? In many cases here, the musicians employ sonic field recordings as source material for their music. In the case of both their photos and their compositions (photography in one case, phonography in the other), documents are altered to emphasize their atmospheric qualities: to eke a modest art out of the everyday. The full collection is also streaming at soundcloud.com/disquiet. The 25 MP3s are downloadable for free individually and as a Zip file at archive.org. Download a 58-page PDF with full-page reproductions of the images and additional information on all the participating musicians: PDF. This project in no way intends to imply any formal association with Instagram. Can I donate images? I have, what I think, are great images for this (ongoing?) project. Thanks — no plans at the current for a second edition, but who knows? Hi, this is a really interesting project, thanks! However, I was a bit disappointed that the embedded album art in each track was the cover picture, not the inspirational picture for that track. This was done right by NIN’s ghosts release, see http://ghosts.nin.com/. I hope this could be fixed. Oh, media player fail. Turns out banshee 1.6.1 (version in Debian stable) caches one cover art per album; it’s just whatever the first one it saw was. Apologies. Well done on getting this right :-) Slightly higher-res pics in the embed would have been nice. But I’ll stop wingeing. Being creative is better than critical; so I’ve gone and fixed my only gripe. 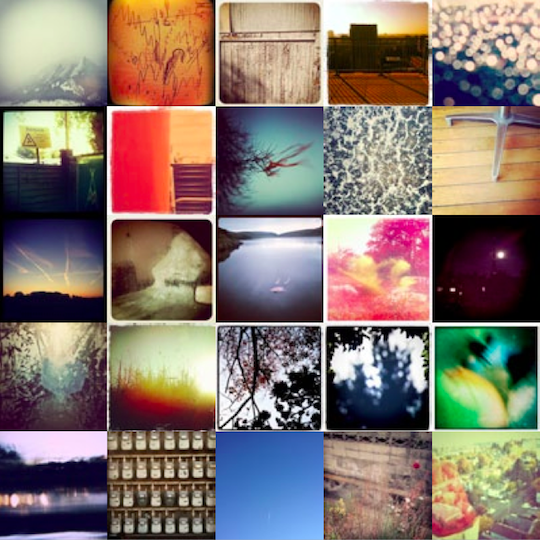 See http://www.archive.org/details/InstagrambienthdImages for the exact same MP3s but with the HD pictures (from the PDF) as the embedded artwork. Hi aidan, thanks for letting me know. I reckon it might be because I put in ID4 v2.4 tags, and I’m not sure how well supported that version is in things like iTunes. I’ll put aside some time to do some digging. brilliant concept nicely executed!! thanks!! Cool project! I’ve d/loaded the files & have mixed the tracks together for a seamless mix.